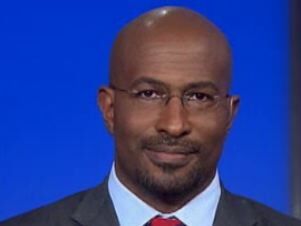 Van Jones hinted to MSNBC's Ed Schultz on his show tonight that he and his group, Color of Change, will astroturf, or manufacture, a campaign against the group ALEC (American Legislative Exchange Council) for supporting the "Stand Your Ground Law" in Florida. Jones alluded to using the death of Trayvon Martin to attack ALEC, calling the circumstances a "perfect storm." "This is going to be huge," Jones told Schultz. "What you're going to see now, listen, you've got a perfect storm building. You've got all of the passion around Trayvon and what a ho horrible injustice that was. And you can draw a direct line to the Koch brothers and what's holding it together is a group named ALEC and nobody had ever heard of this group before and yet they are driving the worst policies in America." Jones also said ALEC could be responsible for it not being safe for Trayvon Martin's mother to go to the voting booth and he is going to use this line of attack to make sure corporations like Coca-Cola and WALMART do not donate to them. "I believe you're going to see a stampede of mainstream corporate groups saying, 'Holy crap, we've been writing these $25,000 checks to these groups.' Listen, Trayvon, that child died, the police said we can't put the killer in jail because of this stand your ground, kill at will law. It came from ALEC. Trayvon's not safe walking to the store. His mom's not safe walking to the voting booth because of the voting disenfranchisement laws. And a Latino is not safe walking to work because of the same thing. They are in grave danger of having their brands tarnished," Jones said. Wasserman Schultz: GOP "Callously Indifferent To Women's Health"
Reporter To Carney: Obama "Made A Mistake And You Can't Admit It"